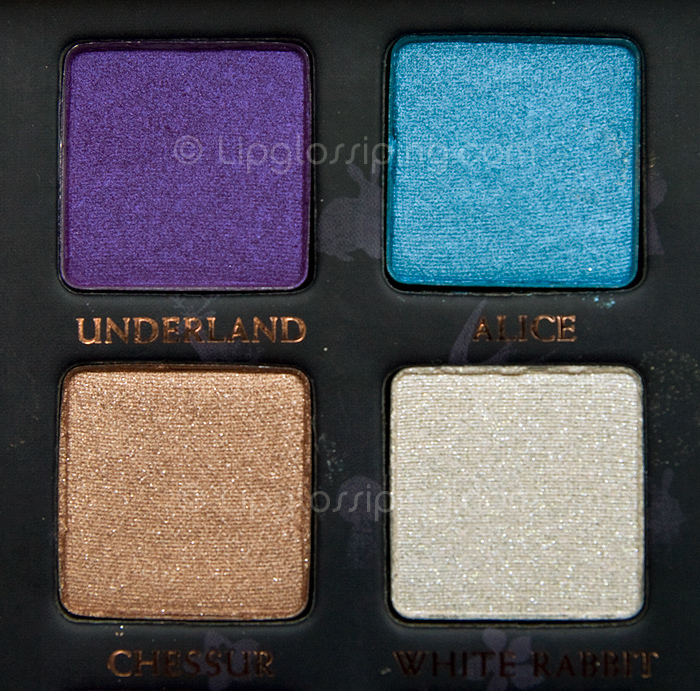 This is Part 2 of a 3 Part UD Alice Extravaganza! – Click here for Part 1 and Part 3! Clockwise from Top Left: MUCHNESS, MUSHROOM, ABSOLEM, DRINK ME. EAT ME. Come on… which are your top 3? Hmm. 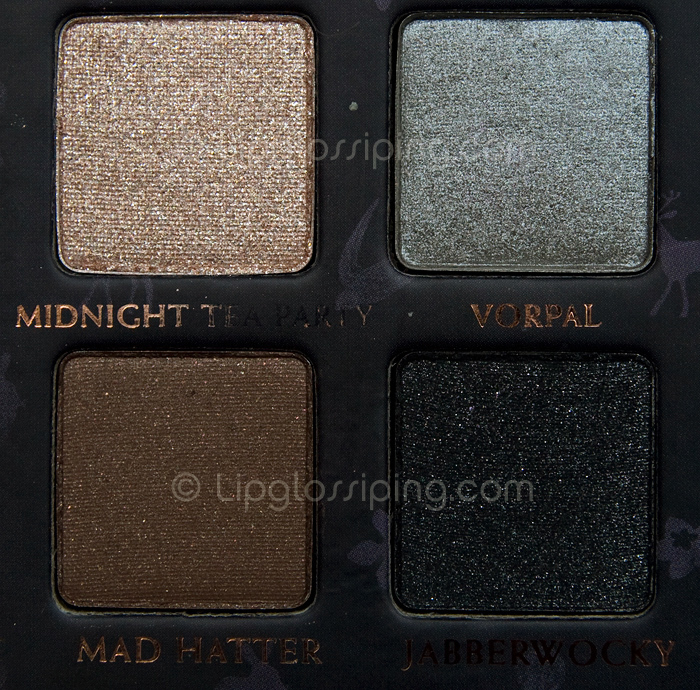 Vorpal, Jabberwocky and Mushroom are calling me the hardest. Beautiful pictures. Am so glad such a great blogger got a chance to preview this! Your photos are excellent! oh wow these are absolutely gorgeous! 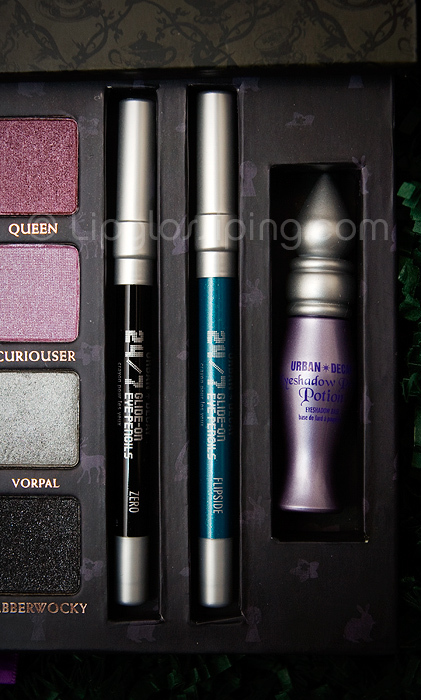 Wow, I’ve never done the Urban decay line but this might be the product to start with. 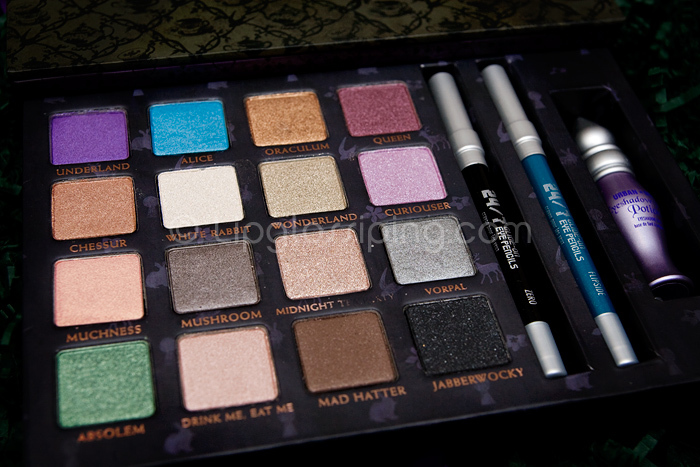 Midnight and Wonderland please!! So pretty! 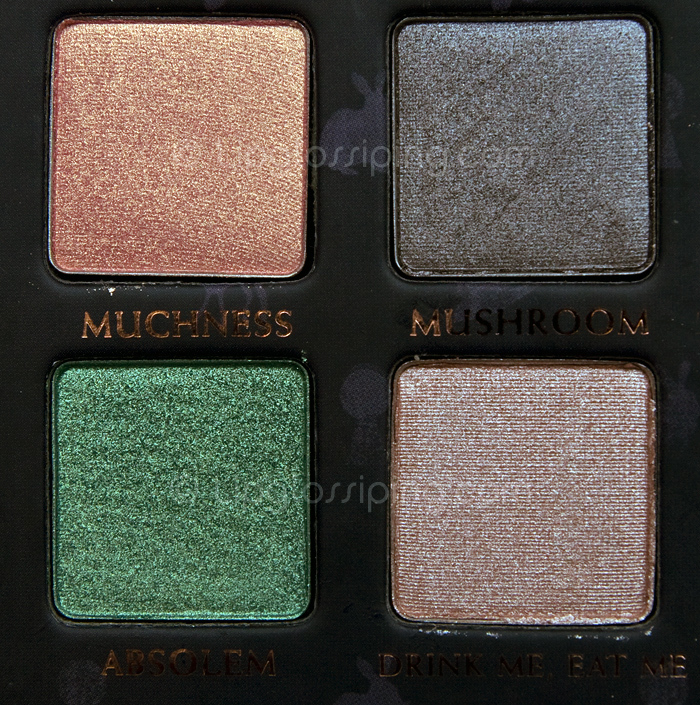 I wasn’t planning on getting this palette but I think I might have to! omg. I didnt want this untill now!! Its gorgeous! They look so beautiful I almost wouldn’t want to use them hahaha…ALMOST. Mom saw this and wanted to get one right away for me…well she wanted to coz I do her makeup, so it’s actually also for her ha ha! I hope 1 of our relatives in the States is able to find a box for us Heard it’s almost sold out everywhere. Judging from your swatches I totally agree with you on the thumbs up! 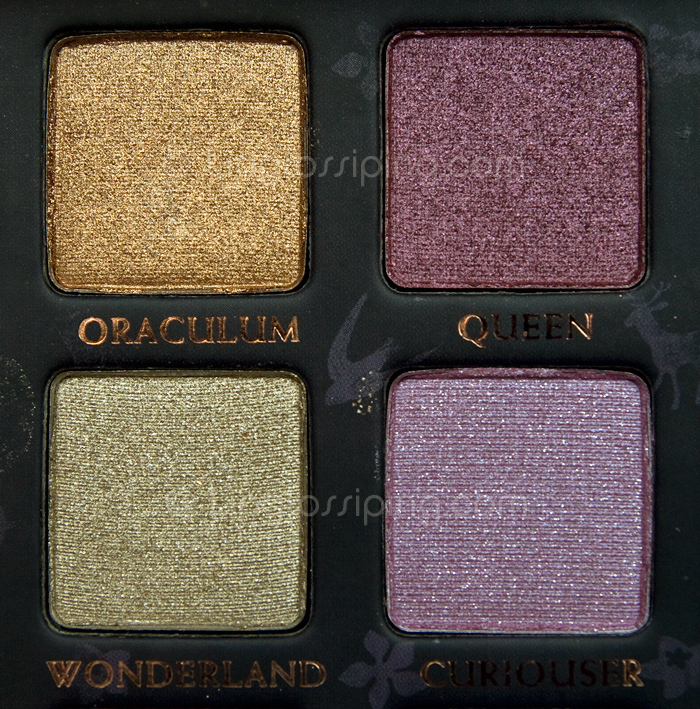 But I must stop torturing myself with these posts since I know I can’t get my hands on this beautiful palette!